Tokyo, August 8, 2016 – Fuji Heavy Industries Ltd. (FHI), the manufacturer of Subaru automobiles, is pleased to announce that a Subaru 360 Model K111 minicar preserved by FHI has been designated by the Japan Society of Mechanical Engineers (JSME)* as a Mechanical Engineering Heritage item for 2016. A designation awards ceremony was held at Ichijo Hall in the University of Tokyo Yayoi Auditorium on August 7 as part of an event celebrating Machine Day and Machine Week. JSME certifies historically significant mechanical engineering heritage items existing in Japan in the aim of encouraging the careful preservation of such items and passing them on to future generations as part of the nation’s cultural heritage. It has been certifying Mechanical Engineering Heritage items continually since 2007, and including this year’s additions has certified 83 items in total. 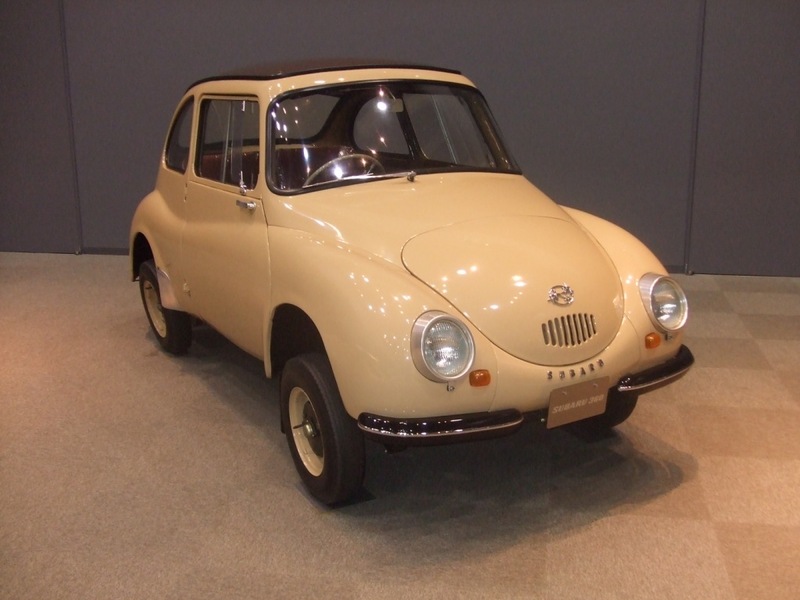 Launched in 1958, the Subaru 360 was Subaru’s first mass-produced minicar. Built within the 3-meter total length required of minicars at the time, the Subaru 360 seated four adult passengers with ease and offered a comfortable ride. Nicknamed the “ladybug”, it gained wide popularity in Japan for its compact design and practical layout. The Subaru 360 Model K111 certified this year as item No. 78 on the JSME list of Mechanical Engineering Heritage items is displayed in the Subaru Visitor Center at FHI’s Gunma Yajima Plant in Japan. Visitors taking factory tours at the plant can see the vehicle displayed with other past Subaru vehicles. *Established in 1897, JSME is among Japan’s largest engineering societies and aims to advance and develop mechanical engineering, related systems, and associated fields. Factory tours: By appointment only and limited to groups of 10 or more persons.